REP. DAVID N. CICILLINE (D-R.I.): We need a tax cut for middle-class families, not 83 percent of it going to the top 1 percent, richest people in this country, and the most powerful corporations. MARIA BARTIROMO: Well, I have got to push back on that, because 80 percent of the tax cut plan didn’t go to the top 1 percent. As you know, congressman, the tax cut plan lowered all income levels, and they double the standard deduction. So that talking point . . .
CICILLINE: Maria, that’s just not true. BARTIROMO: No, it is true. CICILLINE: Maria, that’s just not true. An independent outside group said 83 percent of that tax cut goes to the top 1 percent, the richest people in this country, the most profitable corporations. That is a fact. CICILLINE: That’s right. That’s right. BARTIROMO: So you want the corporate rate at 35 percent? 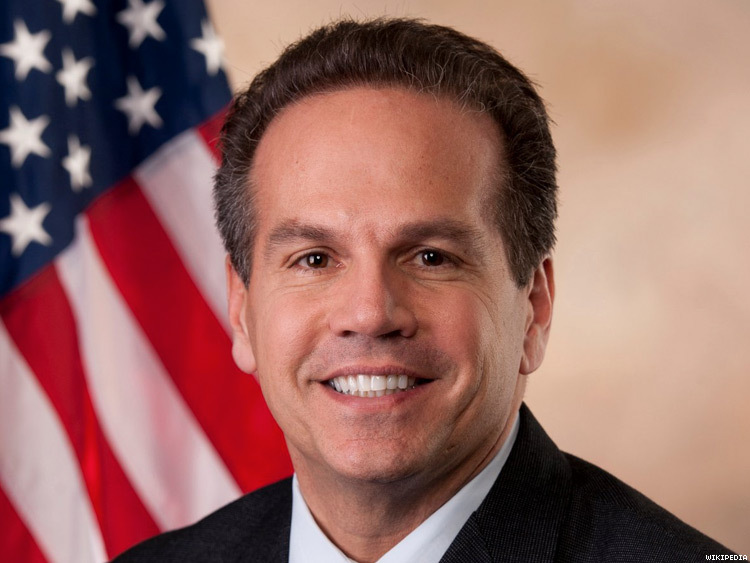 CICILLINE: … that 83 percent does go to the top 1 percent. BARTIROMO: All right. Congressman, do you want to raise the corporate tax rate? Is that what you’re saying? CICILLINE: Well, I don’t — what I say we have to do is, we have to be responsible about that. We created a $2 trillion deficit by giving 83 percent of the tax cut to the top 1 percent. And now Republicans are proposing to cut Social Security and Medicare to pay for that. That’s not acceptable. BARTIROMO: Look, I understand that you want to keep with this talking point that is inaccurate. That’s fine. CICILLINE: No, it’s a fact. BARTIROMO: You can do as you will. This is a classic Washington moment — a prominent journalist and a lawmaker arguing over whether a factoid is accurate. Bartiromo tried to fact-check Cicilline in real time — “the tax cut plan lowered all income levels, and they double the standard deduction” — and Cicilline insisted he was right. “That is inaccurate,” Bartiromo declared. “No, it’s a fact,” Cicilline shot back. Bartiromo is a conservative, and Cicilline is a Democrat. This is yet another example of how Democrats and Republicans talk past each other when they discuss the Trump tax cut, with Republicans looking at the front end while Democrats tend to focus only on the back end. We’ve shown how House Speaker Paul D. Ryan (R-Wis.) touted “Cindy,” the single mom who supposedly will get $700 every year from the tax bill and how House Minority Leader Nancy Pelosi (D-Calif.) claimed 86 million people would see their taxes increase. Let’s dissect Cicilline’s talking point. In 2018, most U.S. taxpayers can expect some kind of tax cut, according to just about every analysis. The nonpartisan Tax Policy Center found that initially more than 80 percent of taxpayers would get a tax cut, with less than 5 percent getting a tax increase. Since the wealthy pay most of the income taxes, they end up with most of the tax cuts. (The top 1 percent in 2014 earned 20 percent of adjusted gross income and paid nearly 40 percent of federal taxes, according to the Tax Foundation.) The TPC report shows that in 2018, the top 1 percent would get 20.5 percent of the tax cuts; the top quintile would get 65.3 percent. In other words, that’s not nearly as lopsided as Cicilline asserted. So, score one for Bartiromo? Not so fast! Richard Luchette, a Cicilline spokesman, pointed to the same TPC study to defend the use of the statistic. In 2027, the study shows, 82.8 percent of the tax cuts will flow to the top 1 percent. The top quintile actually receives 107.3 percent of the tax changes — because taxes actually increase for the folks in the lowest, second-lowest and middle quintiles. It’s right there on Page 5 of the report. What happened? The individual tax cuts expire over the course of the decade. Republicans structured the tax cut this way to keep the whole package — especially the corporate tax cut — in a budget box that allowed only for a $1.5 trillion increase in the federal deficit over 10 years. The assumption — possibly a big one — is that Congress will vote to extend the tax cuts when they begin to expire, just as most of the George W. Bush tax cuts were extended, with the eventual support of Democrats who had long opposed the Bush-era cuts. But the law is the law. It certainly is within Cicilline’s right to focus on the 2027 tax tables that show that the tax cuts tilted dramatically toward the richest of the rich. But in standing his ground in his Fox News interview, Cicilline failed to make clear that he was talking about 2027, the end of the 10-year window. In fact, he confusingly says that “we need a tax cut for middle-class families, not 83 percent of it going to the top 1 percent, richest people in this country,” which suggests that there is no tax cut now for the middle class. There is one; the question is whether Congress will extend it or even improve it when it starts to lapse. Other Democrats have been more adept about adding phrases such as “in the long run” or “by the end of the decade” when citing the 2027 data. But Cicilline did not do that in this interview. 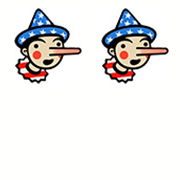 We have tended to give politicians on both sides of the aisle Two Pinocchios for telling only half of the story of the tax bill. Given past performance by Congress, we would be shocked if lawmakers simply let the tax bill run its course and allowed it to raise taxes on tens of millions of Americans. Moreover, it is important for Cicilline to signal to viewers that he is not talking about this tax year, when many can expect to pay less in federal income taxes. So he earns two Pinocchios. "83 percent of that tax cut goes to the top 1 percent, the richest people in this country." in an interview on Fox News "Sunday Morning Futures"